WV Nation would like to welcome the Class of 2023 with our Sixth Annual 8th Grade Invasion Day! We are excited about all of the great things going on at West Valley High School. Dedicated with a laser-like focus on every student learning and graduating College & Career Ready, we continue to offer an academic program that is second to none in Northern California. Each year our graduates are accepted into the finest universities and vocational programs in the country. In addition to our numerous campus clubs, community service efforts and other programs; I am sure you have read the numerous articles and other media about our continued athletic successes this year and the mounting enthusiasm on our campus. 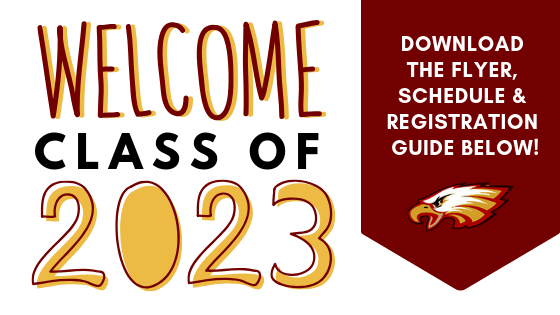 We are especially excited about the Class of 2023. In order to introduce and better serve the Class of 2023, WVHS will hold our 8th Grade Invasion Day on Friday, March 8th (download flyer). Eighth grade students from schools throughout the south county will be welcomed to a day that includes; orientation activities, course requirements and registration information, as well as a complimentary lunch and participation in our "Student Roundtable" meet and greet! Bus transportation will be provided for students at our local schools. Your son/daughter will receive course catalog information and other materials at the 8th Grade Invasion Day. The course catalog is also posted on the school website and includes information regarding courses, registration, graduation requirements, and the many activities at West Valley High School. This event will be followed by the 8th Grade Orientation Night (March 13th) and 8th Grade Registration Nights (March 18th - 20th). Please review the course catalog information with your student and bring it with you, as a reference when you meet with the counseling staff during evening registrations. For more information on any of these events, please contact the registrar (Riley Graham, ext. 30005) or Assistant Principal (Scott Booth, ext. 30003). On behalf of the staff at West Valley High School, we are looking forward to meeting all of you and...GO EAGLES!